Good ol’ St. Patrick. I don’t really know much about him, but I’m pretty sure he must have been down to party. If I had to describe the typical St. Patrick’s Day celebration in two words, they would be GREEN and BEER. Combine those together and you get the best of both worlds: GREEN BEER. Of course, every bar on the block is celebrating St. P with some shamrock hued brews. 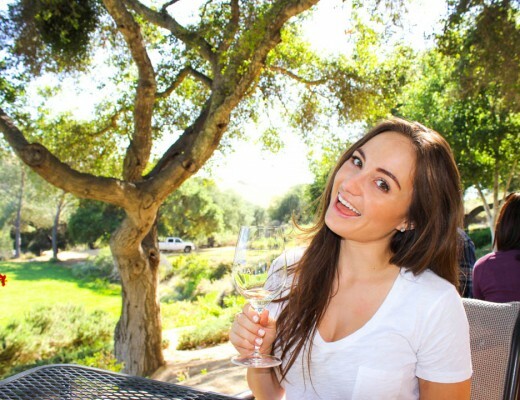 Why not just snag your beers out and about? Because even if you’ve got the luck of the Irish on your side, drinks out on a holiday can get expensive! When you make your green beer at home, you get the added glorious benefit of choosing your favorite beer to make green! I agree with you, beer lovers. Lite beer is pretty lame. Even my face as I write it is grossed out. The problem is, Guiness has a little trouble with the green dye since it’s already dark. The best beers to choose are light in color. This includes pale ales and lagers, blonde ales, IPAs, Pilseners… basically you’re only limited by your wildest tastebuds as long as you keep in on the lighter side of the beer scale. 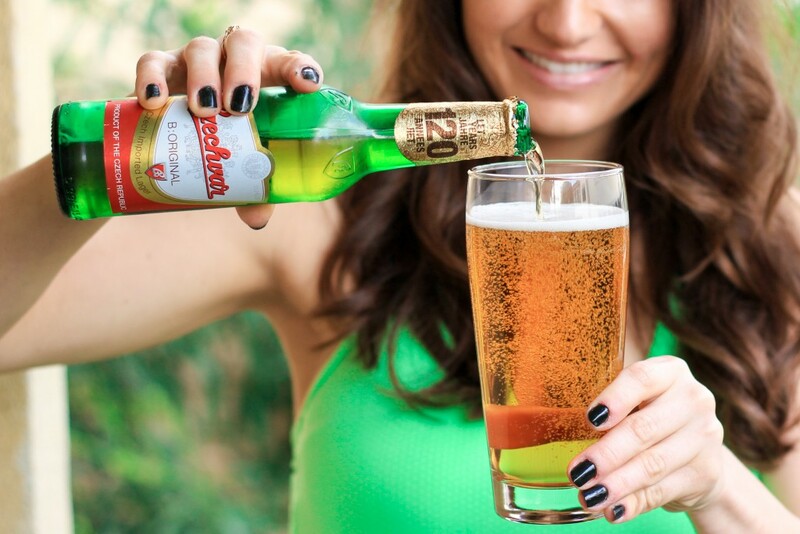 You’re about to get lucky… because beer is delicious! 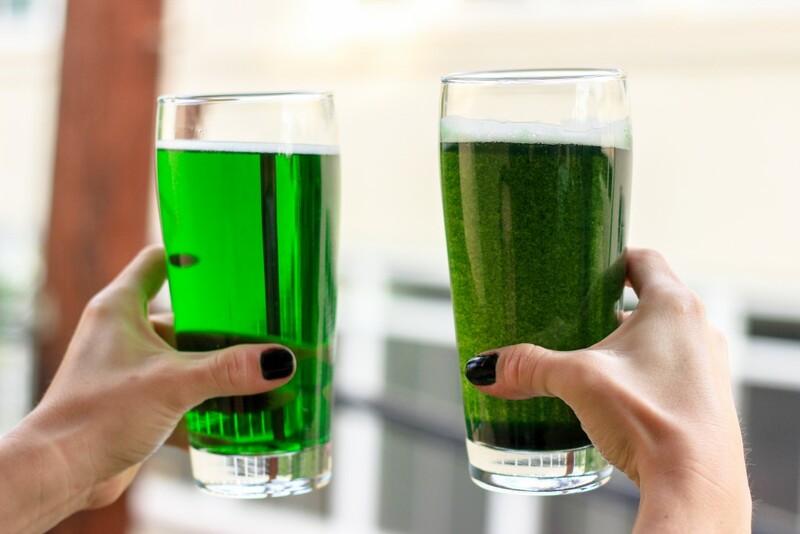 Again, your average St. Patrick’s Day green beer is made with food dye. While it’s safe to drink, it might make it looks like you pooped a leprechaun the next morning. The natural route uses something you may remember from high school biology: CHLOROPHYLL. Yes! 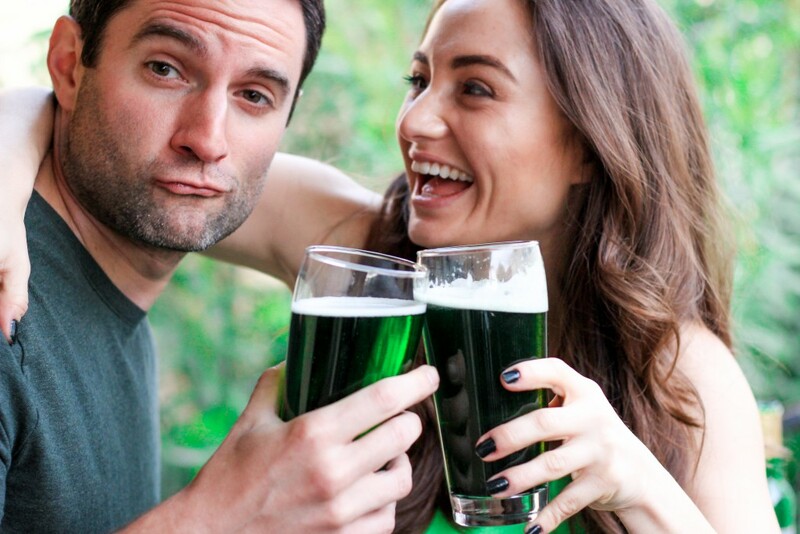 You can literally get your greens in your green beer. It’s like having your cake and eating it too, except this cake is alcoholic and somewhat healthy for you. Chlorophyll can be purchased at any regular ol’ health food store, or on Amazon (which is usually cheaper. You can buy it here). Chlorophyll actually has a near opposite effect of the artificial dyes. It’s an internal deodorant. That means it drinking it makes your poops smell less. Which… if you’ve ever had the shits the day after drinking… well, you know this is a pretty beneficial side effect of this style of green beer. I knew that biology degree I got would pay off eventually. Thanks, Chlorophyll! 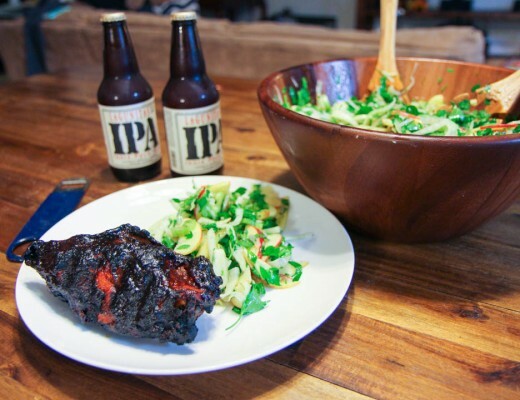 Artificial Dye: Add 2-5 drops of dye depending on the darkness of your beer. 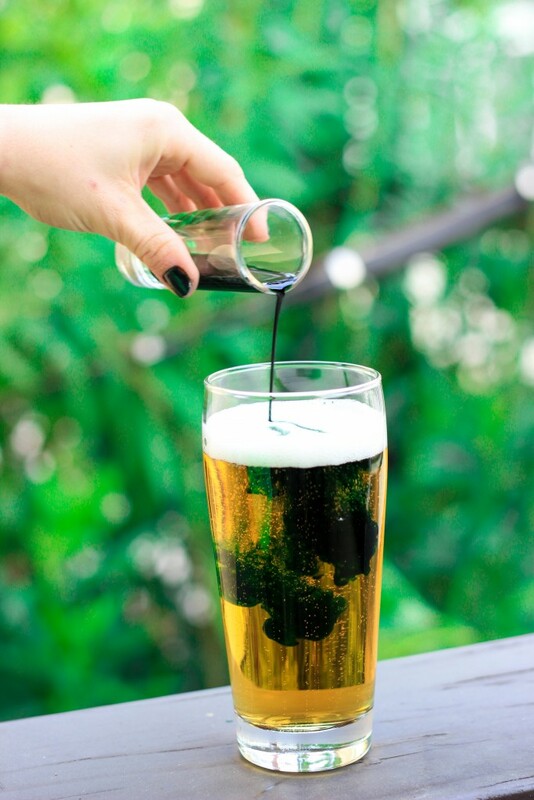 Chlorophyll: Add 0.5-2 teaspoons to your beer (depending on size and darkness of the beer). Stir a bit to allow the dye to become homogenous with the beer and enjoy! Left Side: Dye. Right Side: Chlorophyll. Who will win the battle of the brews? 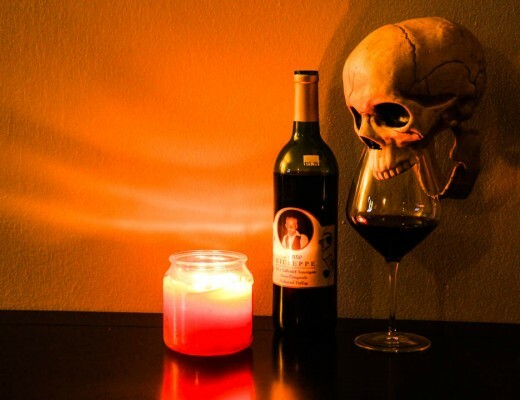 I can lie and say I did this taste test for the benefit of the blog, but really I just wasn’t about to pop open multiple beers to try my dying methods and then let the beers go to waste. The food dye gives a bright, beautiful, uniform color to the beer, and it is crystal clear. I’m not a huge fan of eating artificial colors, but for the sake of St. Patrick, I will take one for the team. Unfortunately the chlorophyll looks a little like algae floating around the beer when you hold it up to the light (probably because it pretty much is). Over a bit of time, the chlorophyll did start to separate and sink to the bottom, but with a quick swirl, it was back in rightful mix. Unless you want to be super sneaky with a flask full of green juice stashed in your purse when you head to the bar. 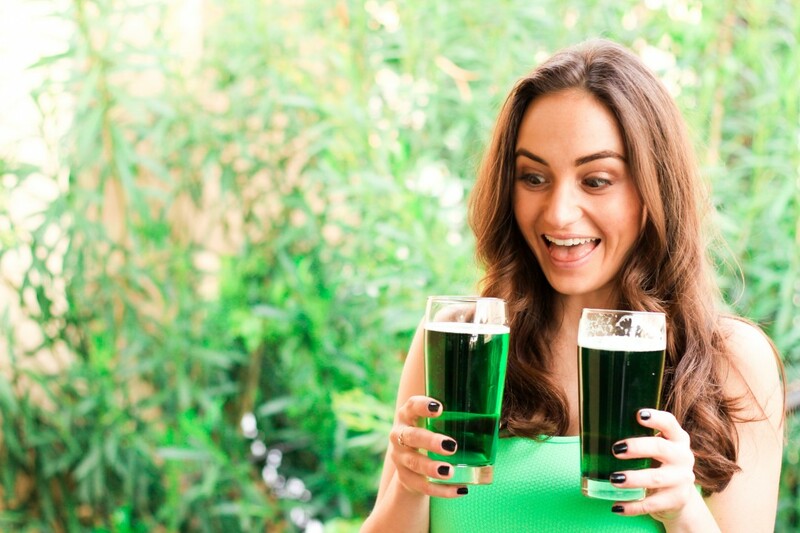 Will a DIY green brew will be your lucky charm on a St. Patrick’s Day date?